I have been learning new things! Lots of new things! This July my husband was diagnosed with celiac disease. He was quite sick for the last year. After the good news that he did not have cancer he found out no more gluten for him! So, I have been learning about gluten free cooking and baking! I thought of renaming my blog Spending Your Hard Earned Money, when I saw the price of gluten free things. If you are just starting this journey after being diagnosed, maybe I can save you some trouble????? 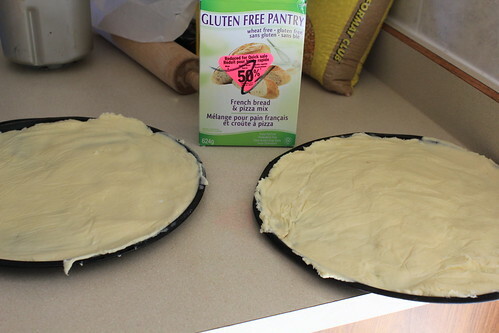 This Gluten Free Pantry bread maker pizza mix I bought at Extra Foods on Family Appreciation Day. My sister in law spotted it in the clearance! It is regularly $5.99(I have since seen it in Safeway in their gluten free section, so it's still available. )After 50% off and 15% off I ended up paying $1.82. Here's what I learned. So far my experience with gluten free dough is that it's nasty sticky stuff! 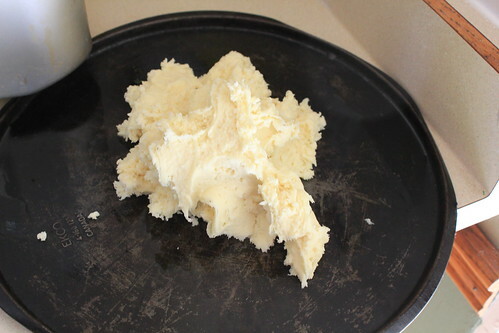 The bread maker has a hard time mixing it all properly so it's a good idea to give it a good stir with a spatula from time to time. The first time I tried another pizza dough mix I just proceeded like I would with normal dough....WRONG! It's very hard to manage! My incredibly smart husband was around as I took a fit tried to figure out how to press it into a pan, and he suggested using wax paper to press it in!!! Works fabulously! 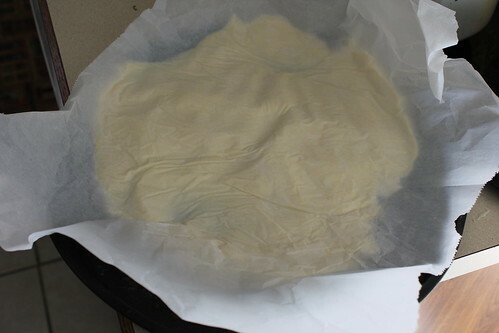 Don't use your hands use wax or parchment paper to press your dough into the pans. 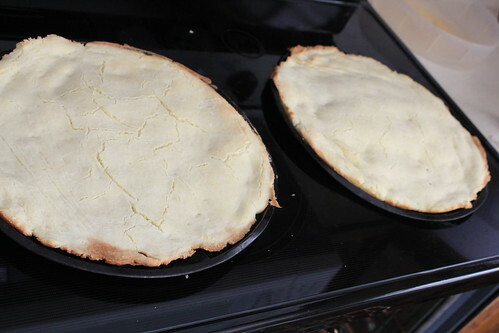 Prebaking them to brown them before adding the toppings is important. I did 425 for about 10-15 minutes. Keep an eye on them as they brown quickly. 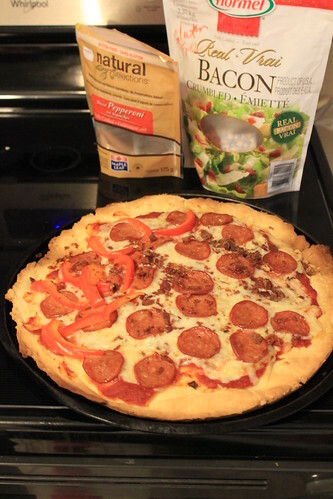 I used Natural Selections gluten free pepperoni only because I had a coupon to get it for free. The bacon bits are from Costco and they are also gluten free. It was so yummy!